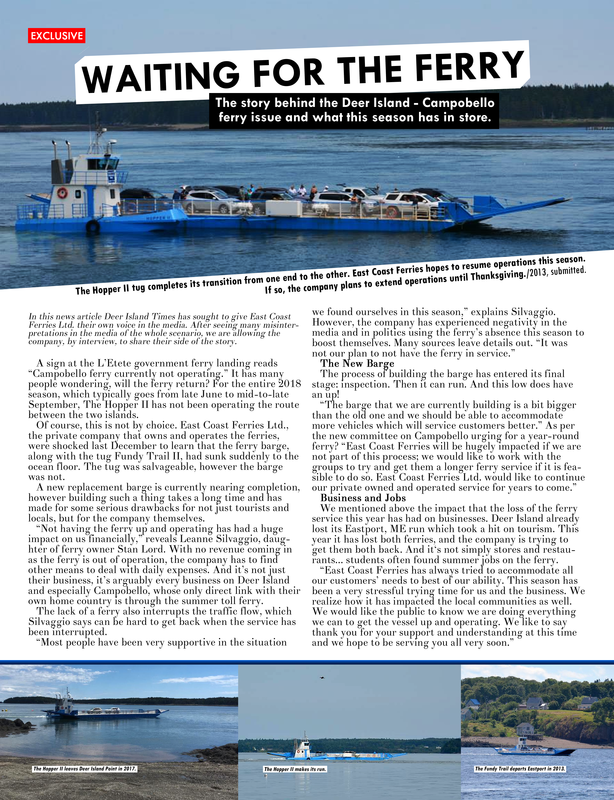 Deer Island Times Exclusives are news articles which we deem as very important, as so are pushed online for free before their respective print issue hits newsstands. This is because we believe in informing the public on what matters as soon as we can! A benefit of this service: you get to view the article in full colour! Pre-issue exclusive on-line news articles are replaced when a new one comes out, so read it while you can. Read this article and many, many more in issue two, which hits shelves this September for $5 CAD, no tax! Copyright 2018 Deer Island Times TM / All rights reserved. / Protected under Canadian law.